In California, where companies testing driverless cars are required by law to make public every accident and human “disengagement” of their technology, the vast majority of crash reports describe the autonomous vehicle getting rear-ended, as ConsumerAffairs reported last year. Driverless car companies said at the time those statistics were further sign that their products are far superior to error-prone human drivers. After all, when it comes to rear-end collisions between two human drivers in regular cars, insurance companies generally place the blame on the person who did the rear-ending. Waymo, the driverless technology startup owned by Google, also reported crashing into a van to avoid debris last year. The company blamed human error -- in this case, its human tester who had disengaged the technology to avoid the road hazard. “Our review shows our system detected the object and would have responded appropriately and avoided the crash,” Waymo's press team had told ConsumerAffairs. But a new report based off interviews with people who share the roadways with Waymo's expanding fleet in Arizona is calling those safety claims into question. According to a report by the outlet The Information, nearly two dozen people who regularly encounter Waymo’s self-driving cars in Phoenix say that the cars are prone to sudden stops, jerky movements, and other driving that is overly cautious and hazardous. 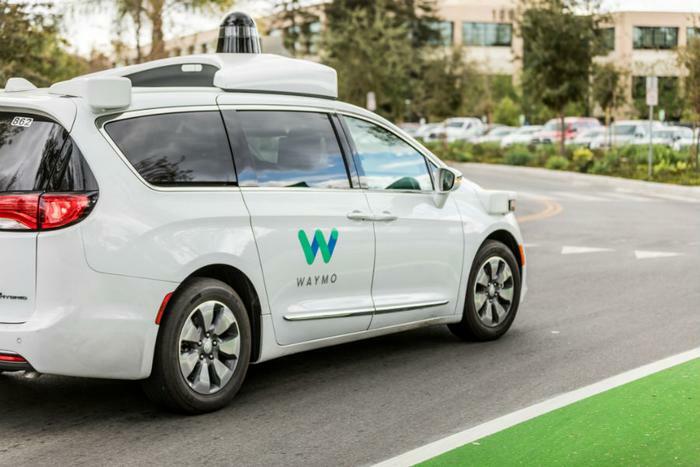 One woman interviewed by the outlet says that she nearly rear-ended a Waymo van after it abruptly stopped in the middle of an intersection. The Information also reported that people frequently see Waymo’s human test drivers disengage the technology and take over the wheel to avoid a crash. In a statement, Waymo told the publication that its cars are “continually learning.” Waymo also noted that it is the only company that is testing completely driverless cars, with no safety driver physically present. Those fleets have already been dispatched on public roadways in Phoenix as well. If Waymo cars are involved in frequent accidents or close calls, the public isn’t necessarily going to hear about it. Arizona, where a semi-autonomous Uber struck and killed a woman earlier this year, has taken an especially lax approach to self-driving regulation and does not require regular reports to be filed describing disengagements or fender-benders. Even after Uber abandoned its own program in the state following the pedestrian death, Arizona continued to proudly live up to its reputation as the most permissive state for self-driving cars. Waymo has repeatedly thanked Arizona lawmakers for their “support of innovation.” The company in the spring said that it “look[s] forward to launching our driverless ride-hailing service in the greater Phoenix area later this year." Phoenix residents, on the other hand, do not appear to share Waymo’s enthusiasm. “I hate them,” one local woman told the Information.